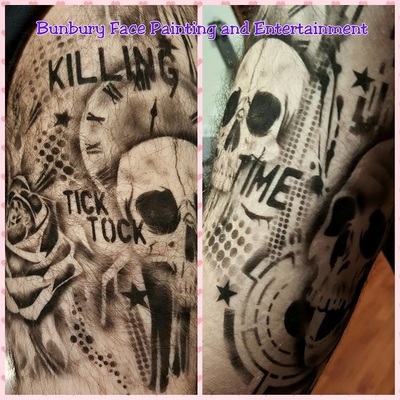 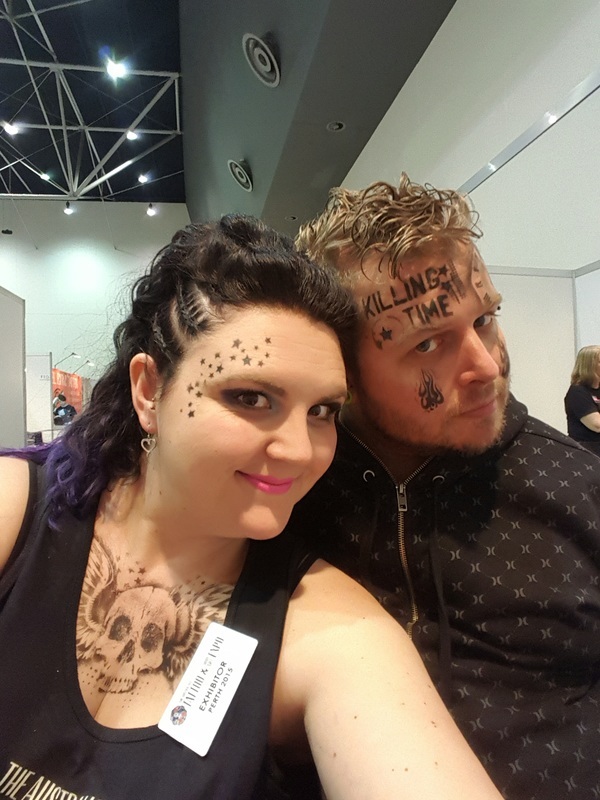 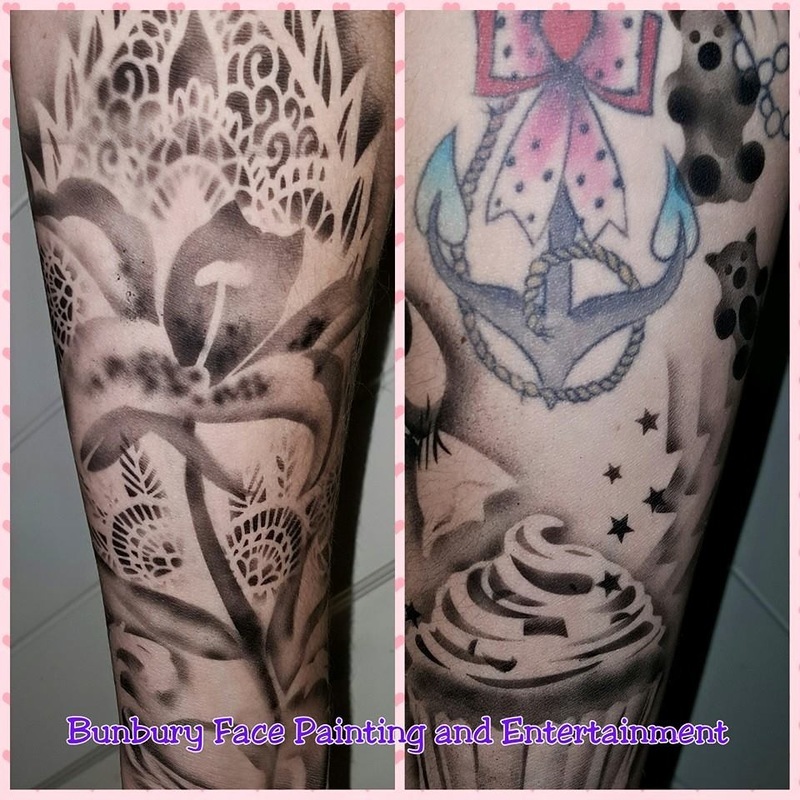 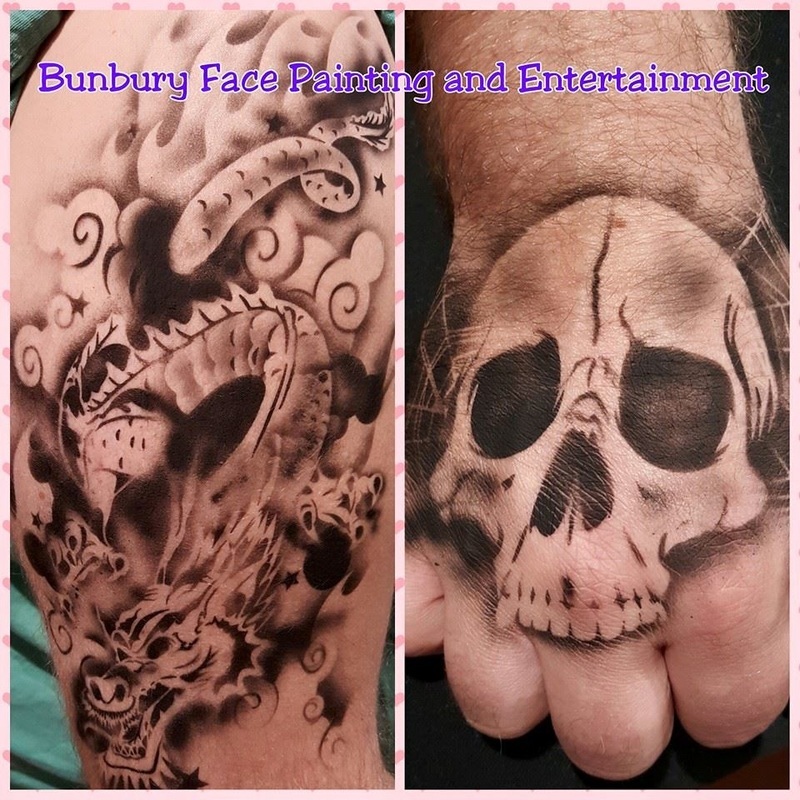 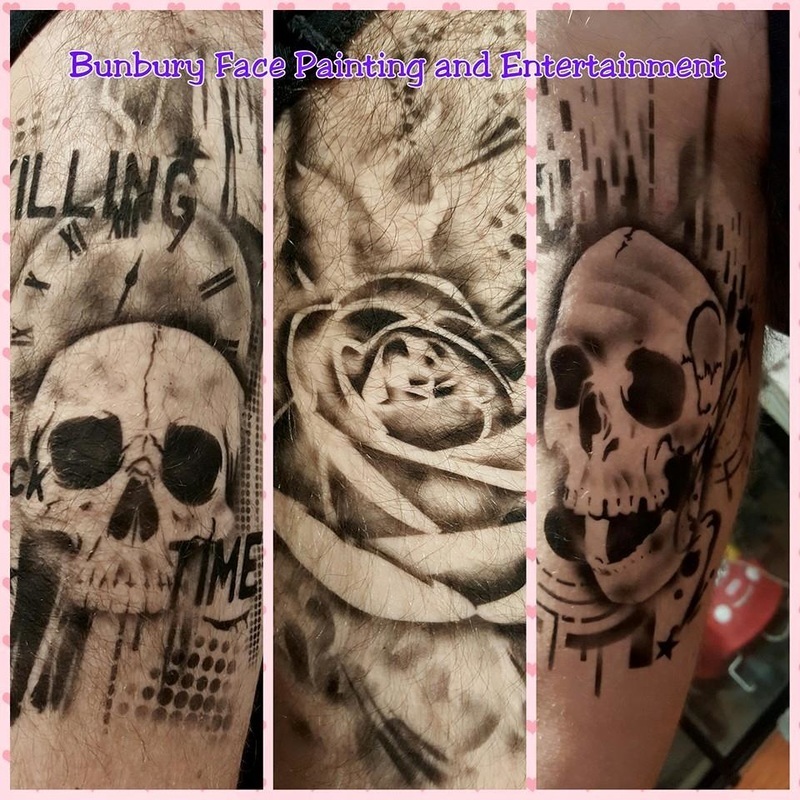 BFP&E are proud to be introducing the amazing NEW airbrushed tattoos. 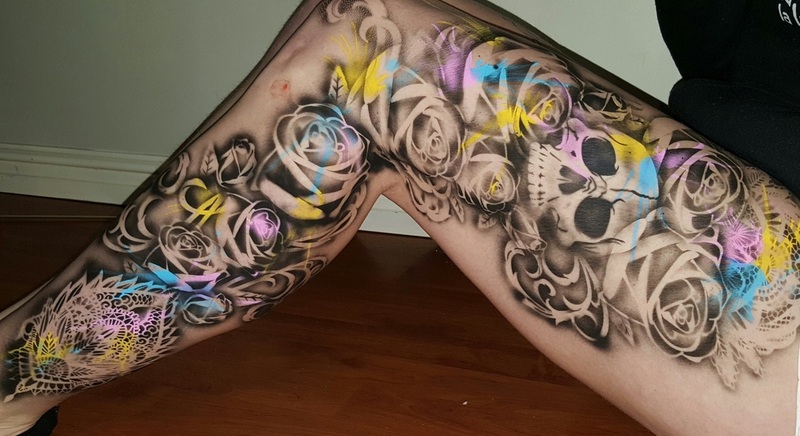 These are unlike anything you have ever seen before. 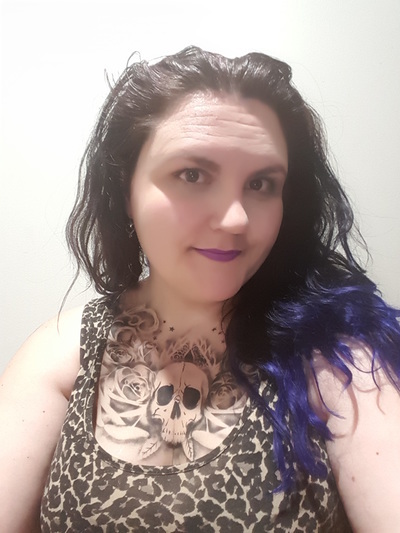 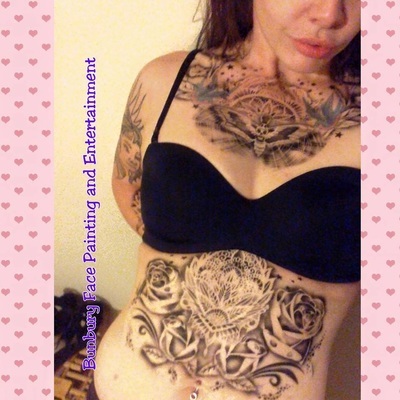 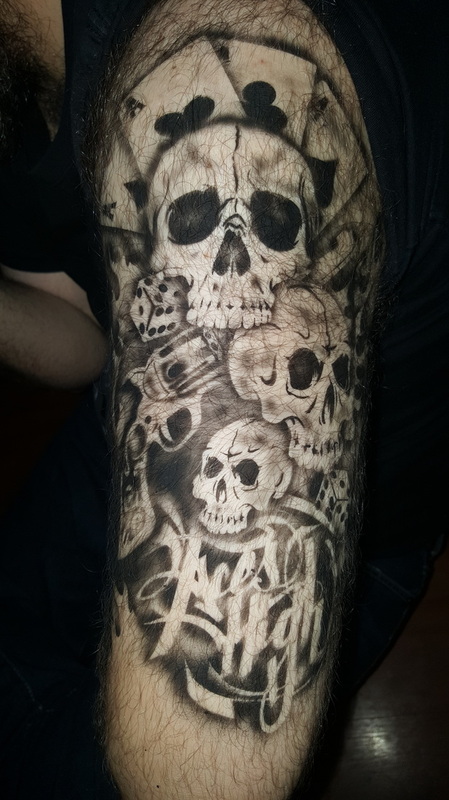 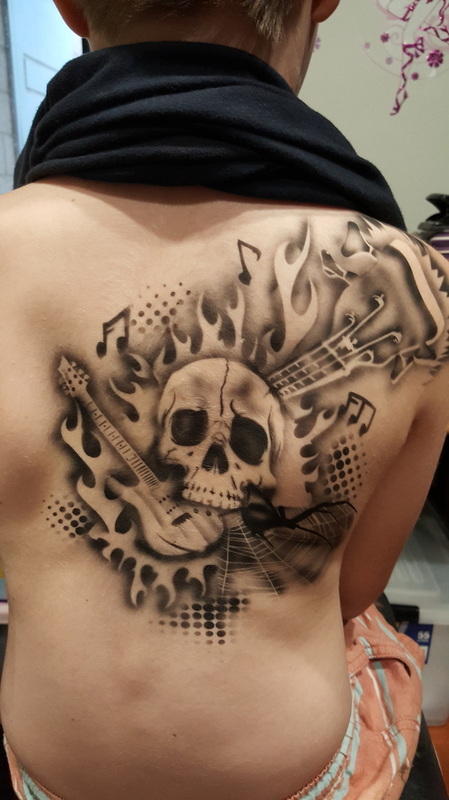 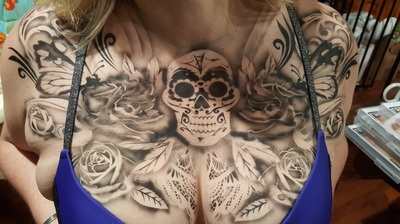 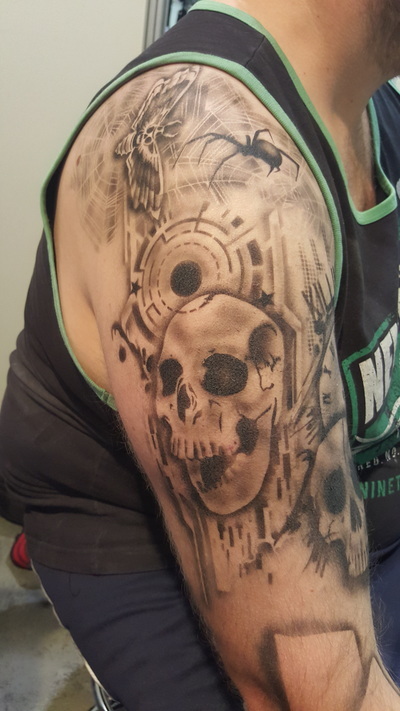 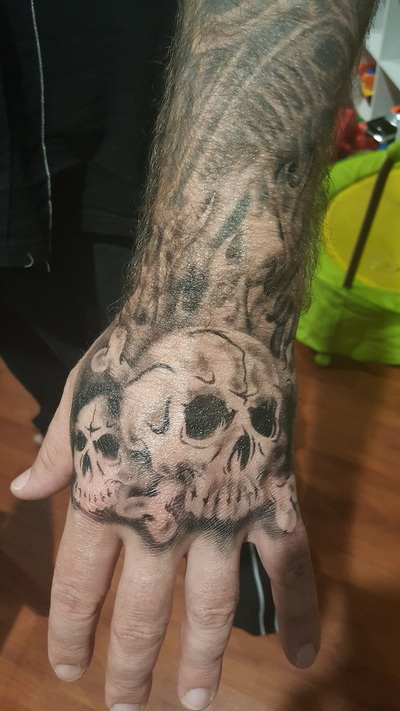 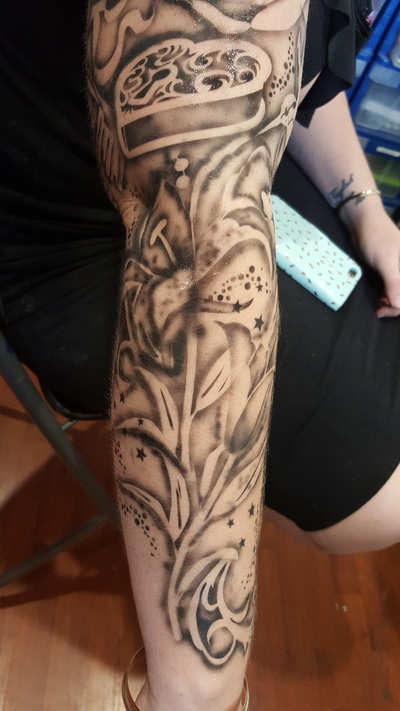 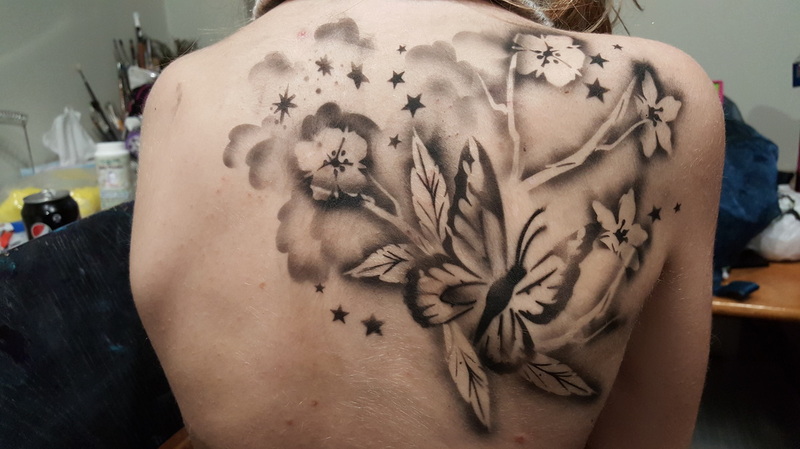 Unlike old systems of airbrush tattoos where a stencil is placed on the skin, sprayed and BAM you're done....this is a system of over 40 different flash art pics for you to choose from. 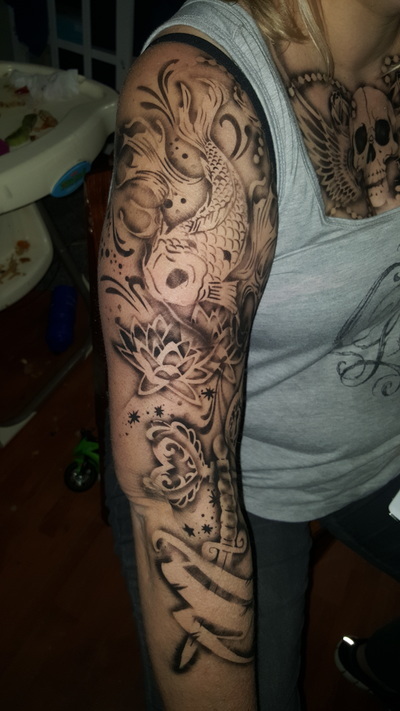 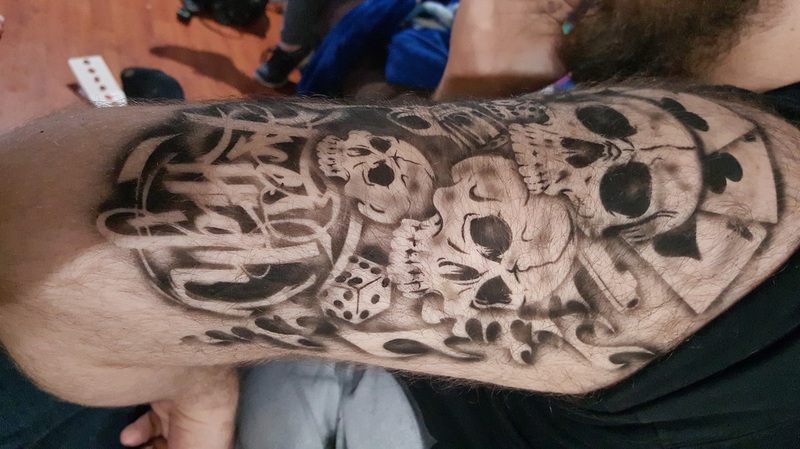 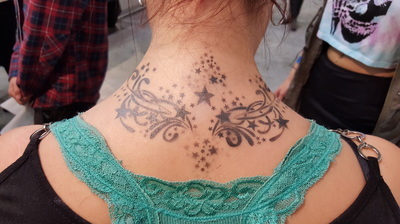 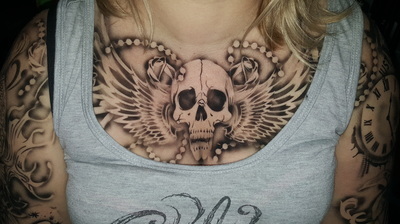 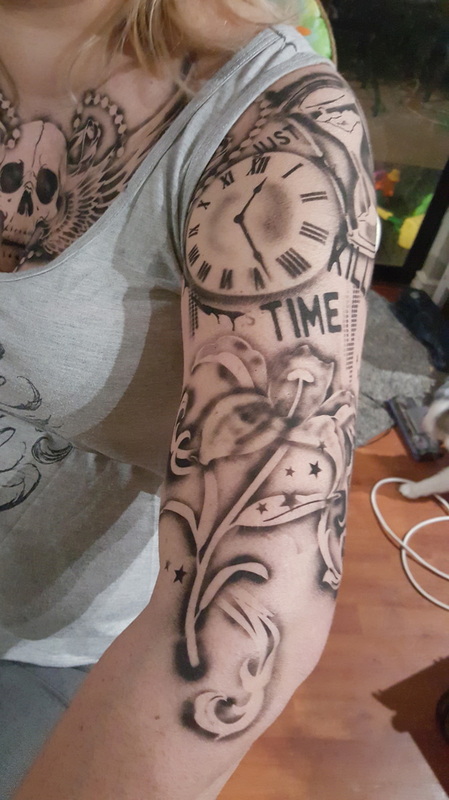 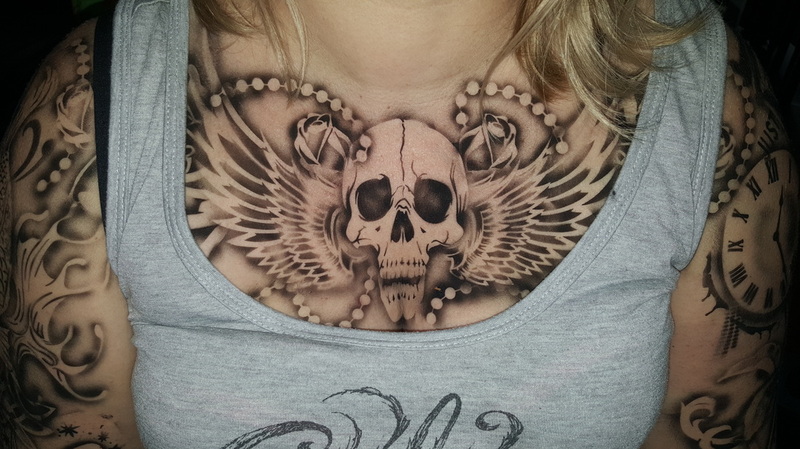 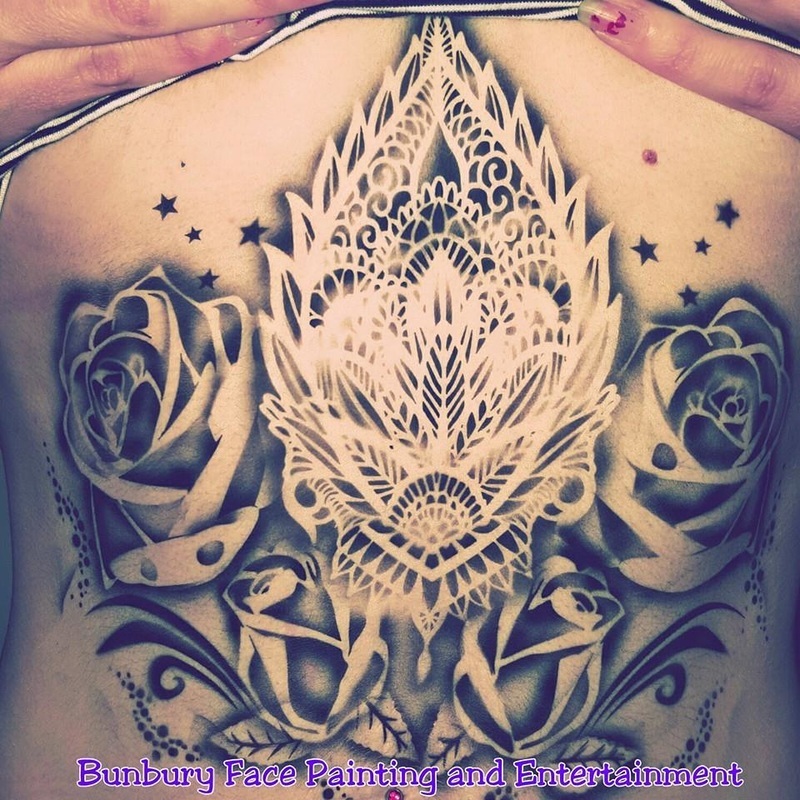 You can pic as many or as few elements as you like and we combine them into one amazing tattoo for you! 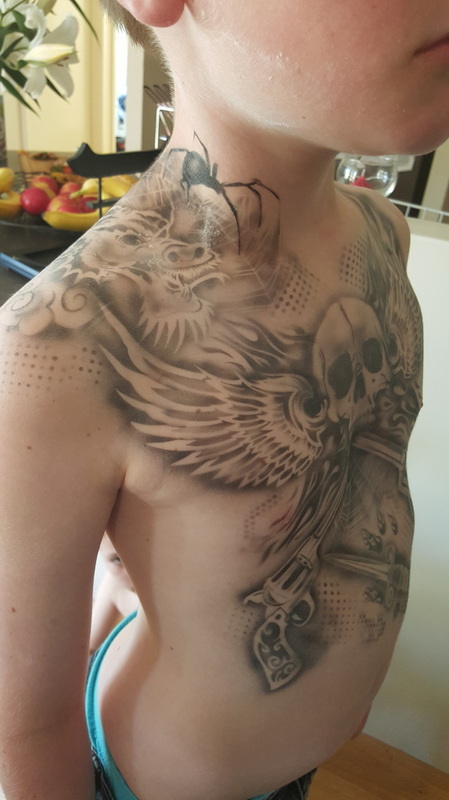 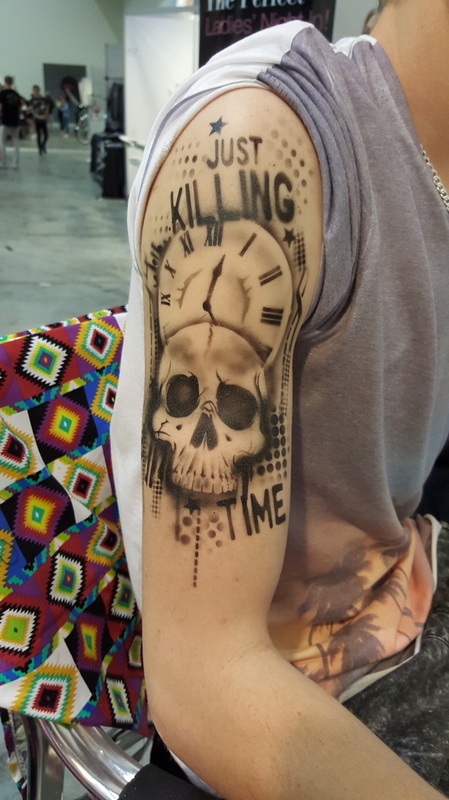 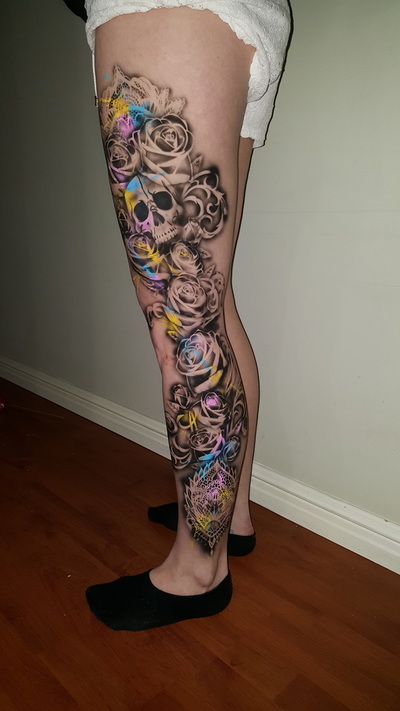 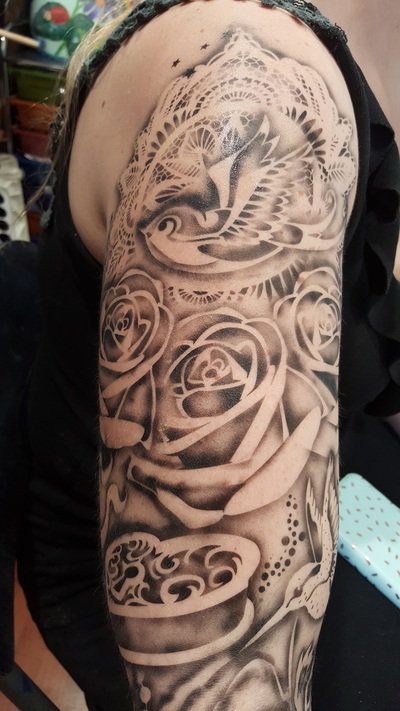 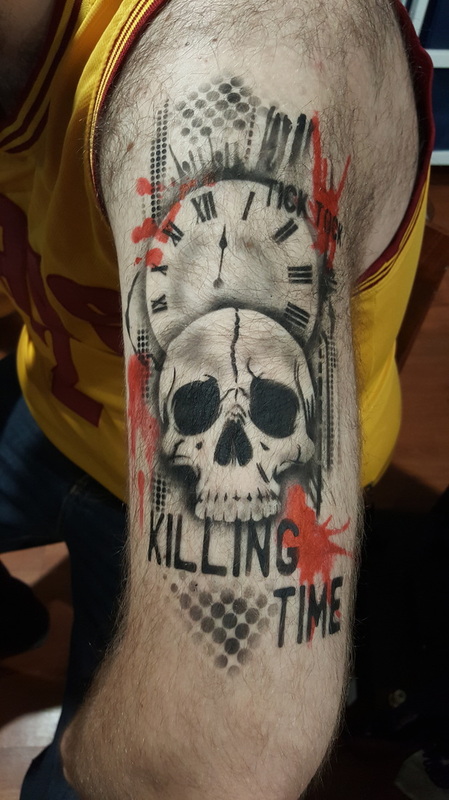 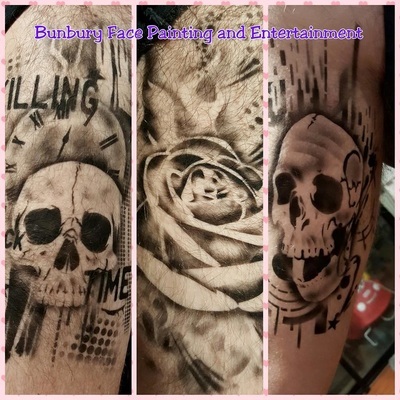 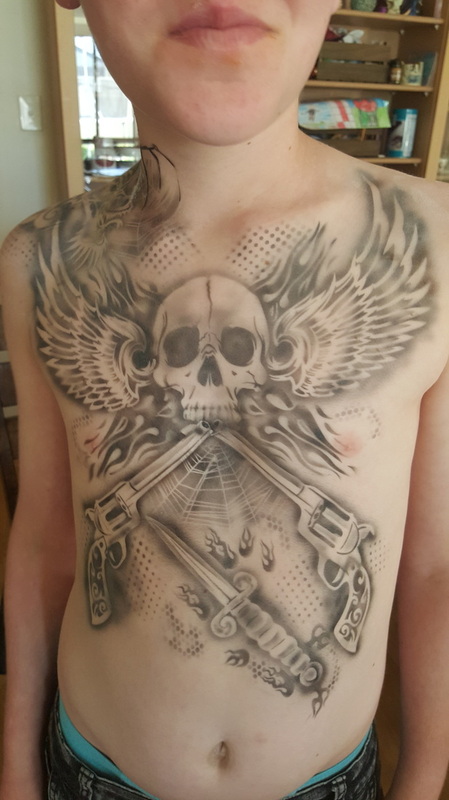 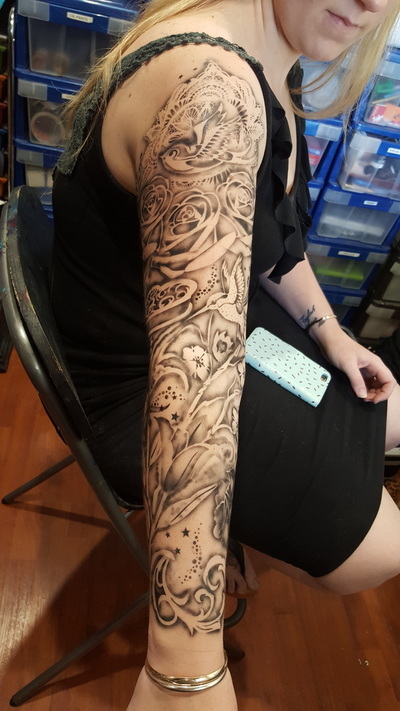 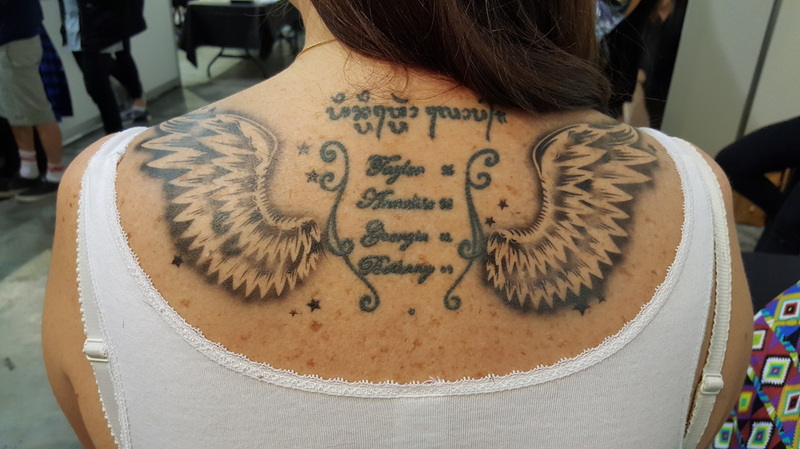 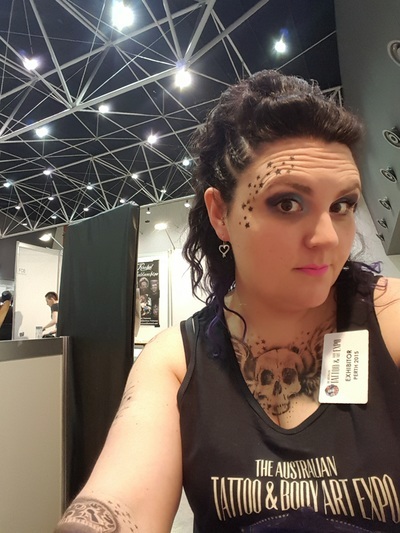 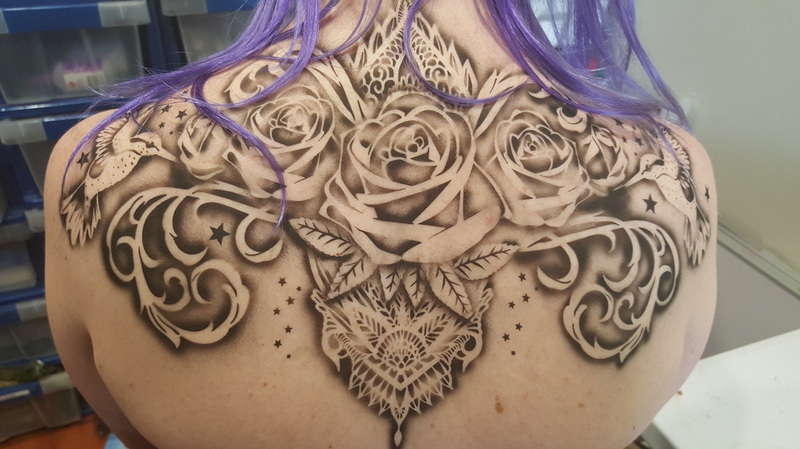 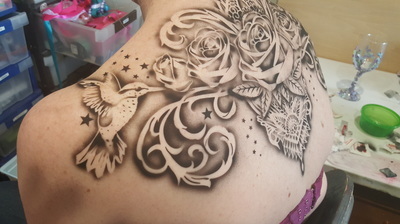 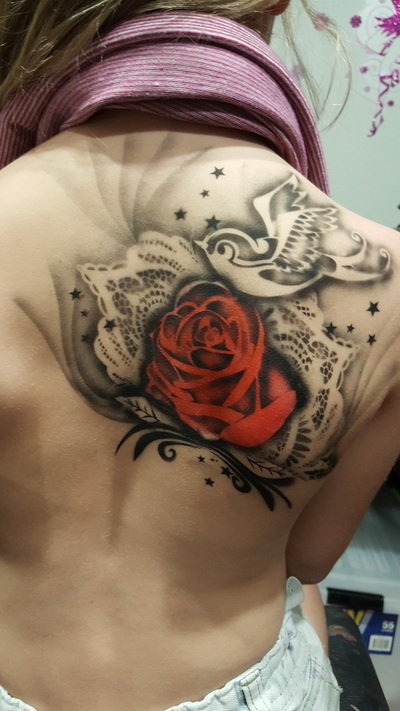 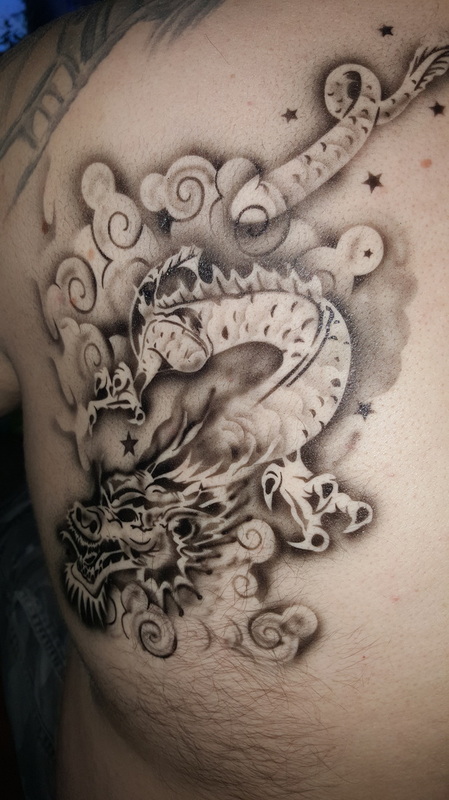 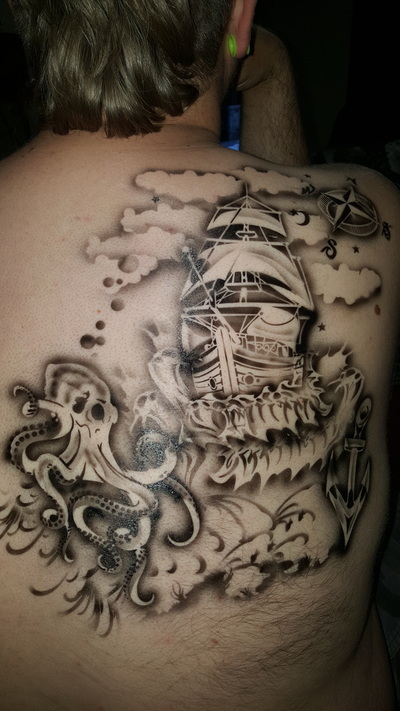 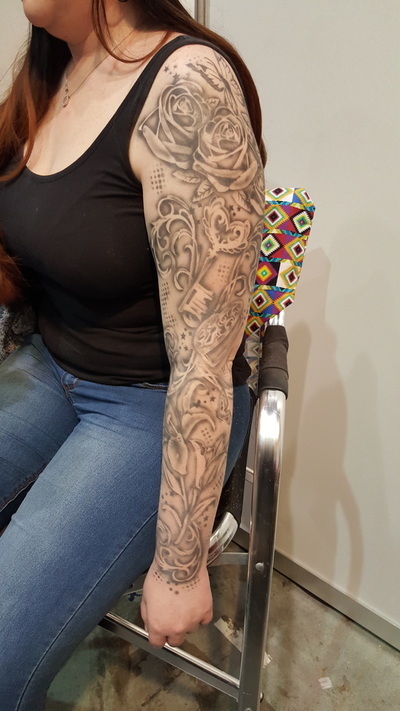 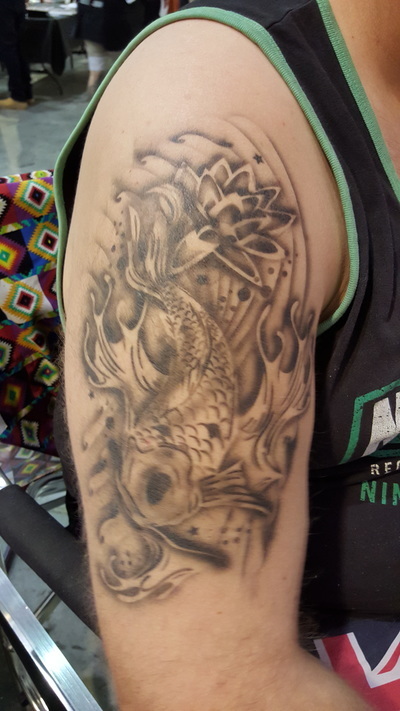 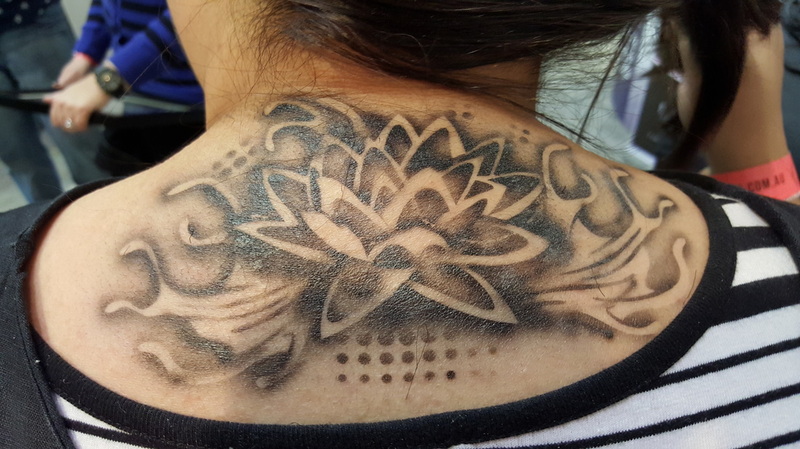 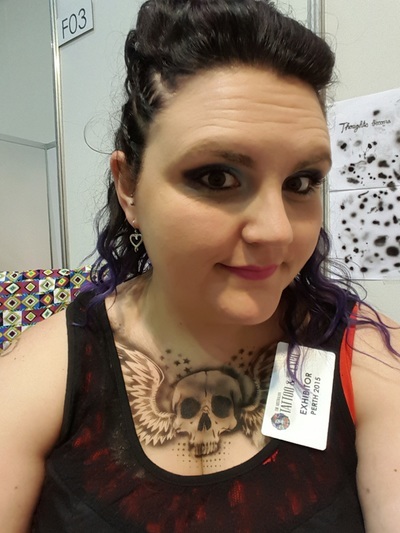 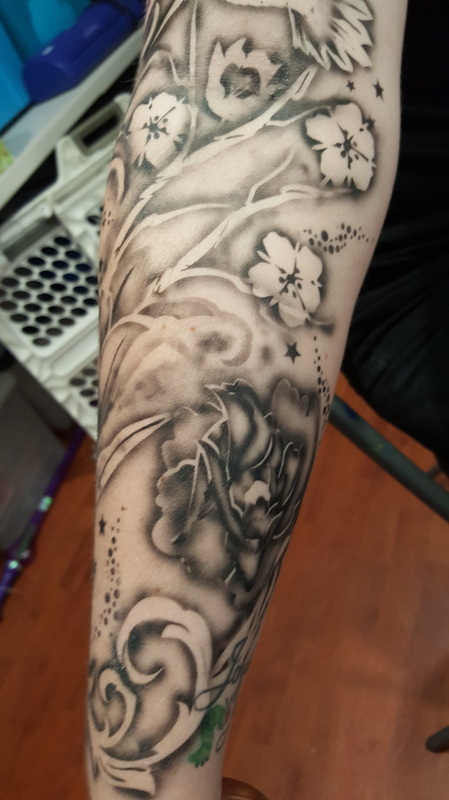 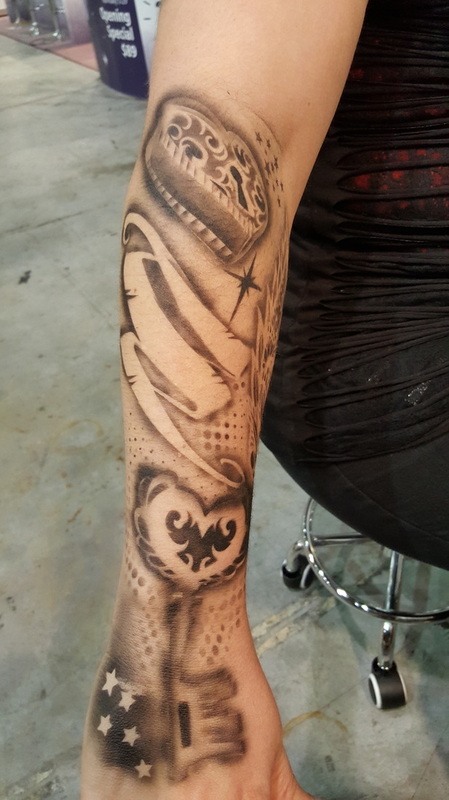 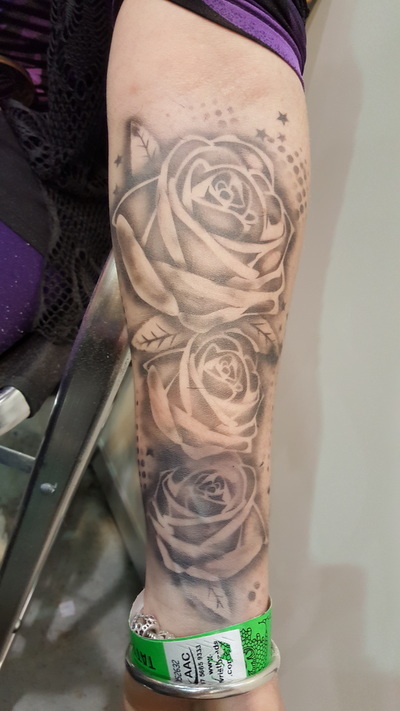 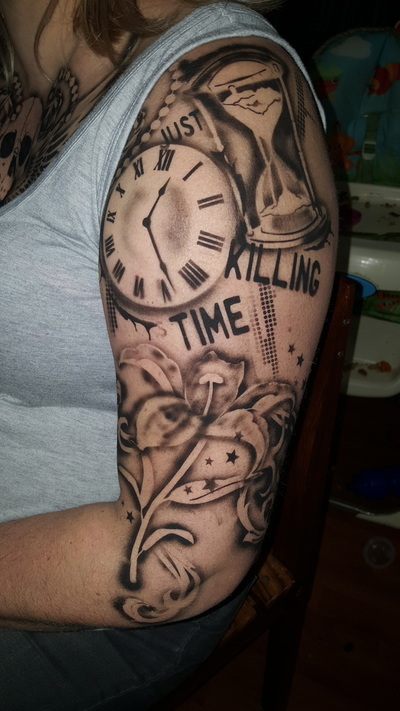 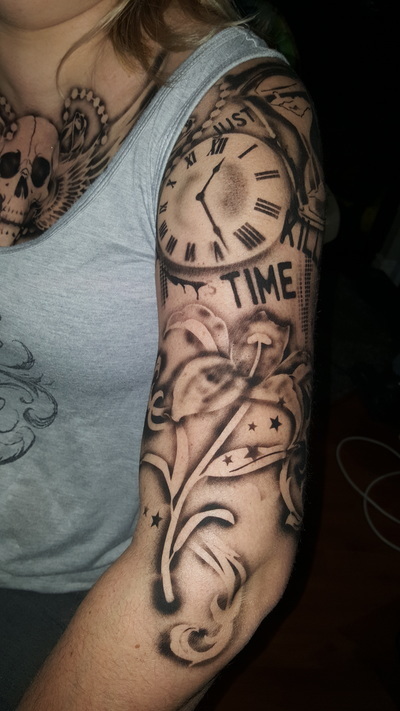 This requires a lot of skill on our behalf to construct your tattoo to make it look amazing! 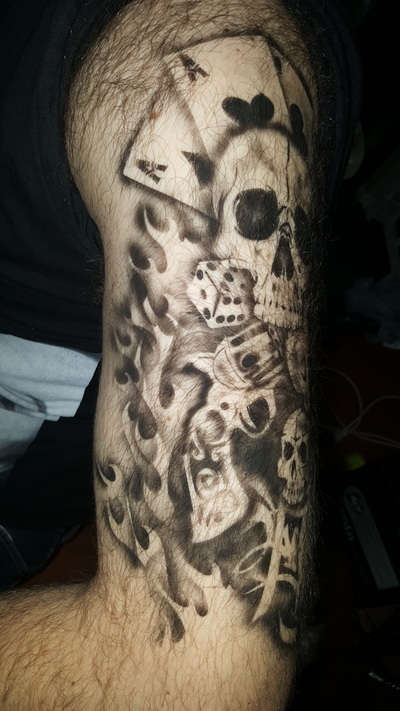 The inks we use last from 2 to 5 days.